As part of Shimano’s new marketing strategy, I was required to produce EDM design and develop adjustable HTML templates (Electronic Direct Mail) for use in Campaign Monitor. 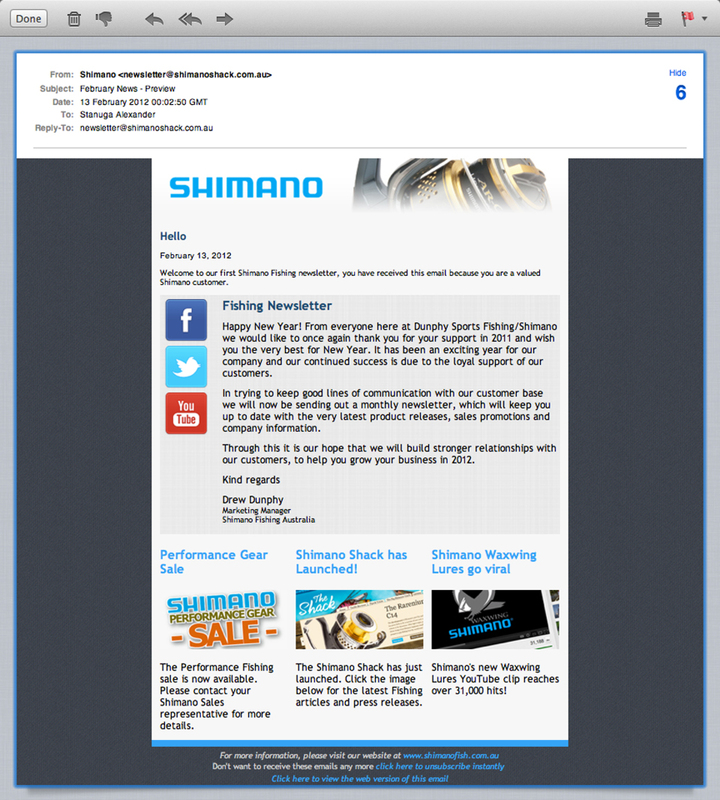 The HTML emails were targeted towards Shimano’s existing customers, alerting the customers to current specials and informing them about new product ranges they may be interested in. I was responsible for designing the EDM’s and creating the HTML templates to be used in Campaign Monitor. The final template was easy for the marketing manager to be able to edit and continue using without having to posses any knowledge of HTML. 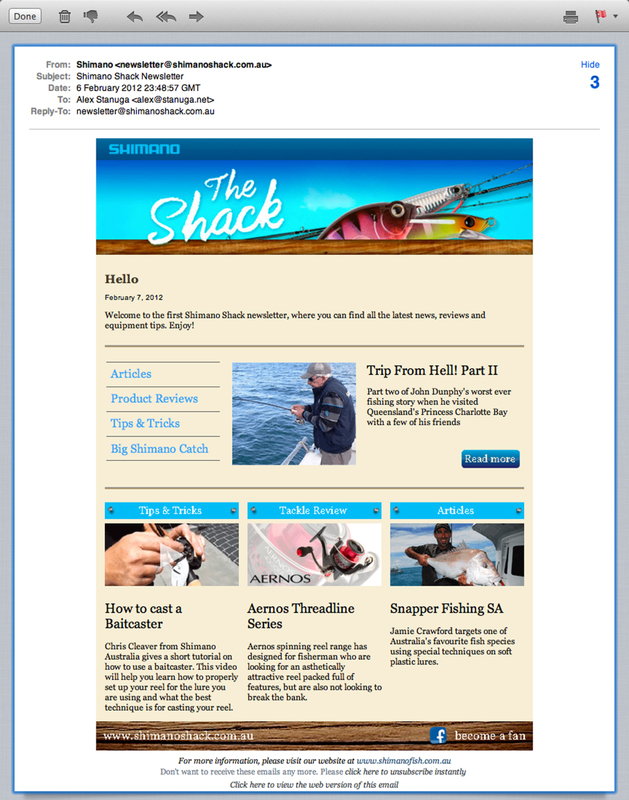 Designed and constructed in WordPress by GRA, the Shimanoshack was launched in early 2012, as a more social media friendly site, unrestrained by the restrictions of the corporate site www.shimanofish.com.au. As part of the marketing strategy EDM’s were also required, to be sent out to people who subscribed to the monthly email newsletter. I was tasked with the design and development of the EDM templates to be used in Campaign Monitor. The design of which had to remain consistent with the website. This HTML template included several varying layout options which can be changed from within Campaign Monitor.